So, I have gone on quite a lot in this blog on the changing nature of living abroad. Essentially you are everywhere wherever you are these days. 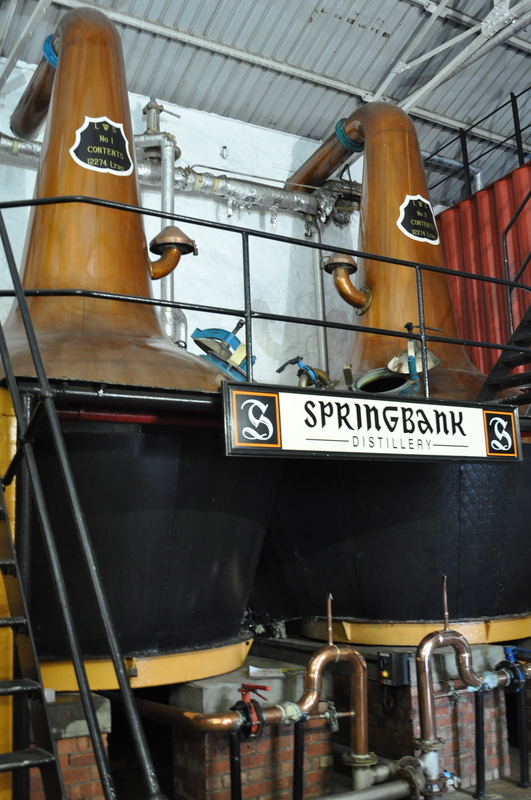 In the previous post I talked about the authenticity of the Springbank distillery and believe me it is the real thing – seagulls screaming horribly, horribly, drizzle falling, sun bursting through from time to time, smell of peat and lots of shovelling. I wanted to give very authentic gifts to some people in Okinawa who have been nice to me. 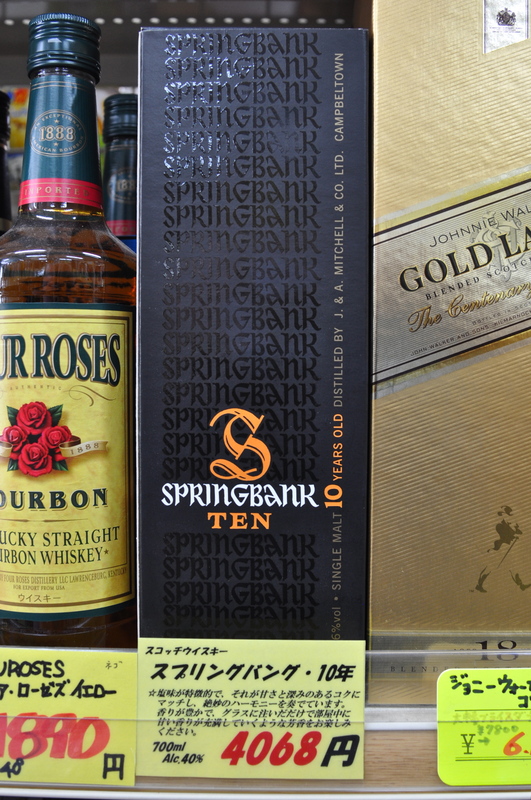 What could be better than a bottle of Springbank – so rare, so exclusive? So I went to Eaglesomes, the shop associated with the distillery in Campbeltown and bought 5 bottles. In fact the words are wrong. I do not think she is gathering cockles but carragheen – seaweed. These I put in my suitcase without any thought as to how many bottles I am allowed to import into Japan. Everywhere seems to be one country to me. This will probably come back to bite me because my case is lost. I arrived in Okinawa last Wednesday, today is Sunday and the airlines have no idea as to the whereabouts of my bag. They think it might be in Italy. It has my flute in it. I do not like to think about it. Anyway cut to the chase, I go to the local sushi, butcher and booze all-in-one shop just down the road and there you can buy Springbank. Oh no! so much for exclusive, authentic gifts from Scotland. It is also much cheaper than 100 yards from where it is distilled. 26 quid! I paid 37 in Campbeltown. I feel sad about this. The excitement of travel is not what it was. This is where the shop is, just a normal corner shop thing on rundown street in the sticks Okinawa. This entry was posted in Uncategorized and tagged globalization, Springbank carragheen. Bookmark the permalink. Oh dear. In the Red Nile by Twigger, a suitable treatment is mentioned for losers of bags with flutes and 5 bottles of Springbank. A duck egg is boiled for twenty minutes before being inserted rectally. Hmm.